Wessex Garage Doors produce top class, high quality GRP doors. 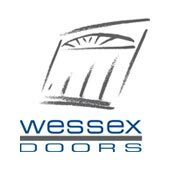 Since trading commenced in 1974 Wessex has become the premier GRP garage door manufacturing company in Europe, while also having the largest range of GRP door styles and finishes.Wessex also offer a comprehensive range of tried and tested door lifting gear systems that will compliment any door panels. To make sure the best quality product arrives with you Wessex Doors ensures our products meet with CEN compliance as well as conform to the European quality standard EN 13241-1. This EU standard enforces stringent safety and performance requirements regarding the construction and operation of any garage doors. Our popular range of brilliant White High Gloss G.R.P doors is designed to complement any home. With a variety of traditional and exclusive designs made solely to order, each door is hand-built and specified to your requirements. With a low maintenance surface there are no unsightly seams, welds or joins to detract from their carefully crafted styling. A wide range of options allow you to refine your door choice to enhance your individual house style. Wessex Woodgrain G.R.P doors faithfully replicate the beauty and ageless appeal of real timber, but offer the time and labour saving benefits of a modern low maintenance finish. These doors require no staining or painting and their outstanding stability ensures that, unlike timber, they will not warp, shrink, peel or crack. The warm traditional appearance of Wessex Timber garage doors is due to the beauty of the solid cedar panel or external grade ply panel with cedar facings used in construction. Our doors are made from timber produced from renewable sources and the raw materials must meet our most rigid standards before being hand crafted into a quality Wessex Timber garage door. ABS garage doors closely match and complement the finish of today's widely available white PVCu window products and share their durability and low maintenance nature. The Wessex ABS Range encompasses 10 popular door designs. These doors are characterised by crisp, clean, deep profiles and have a low-gloss white finish.